Your Insta followers love a good waterfall pic. But just imagine how many likes will come pouring in once you post a waterfall that defies gravity and flows in reverse? 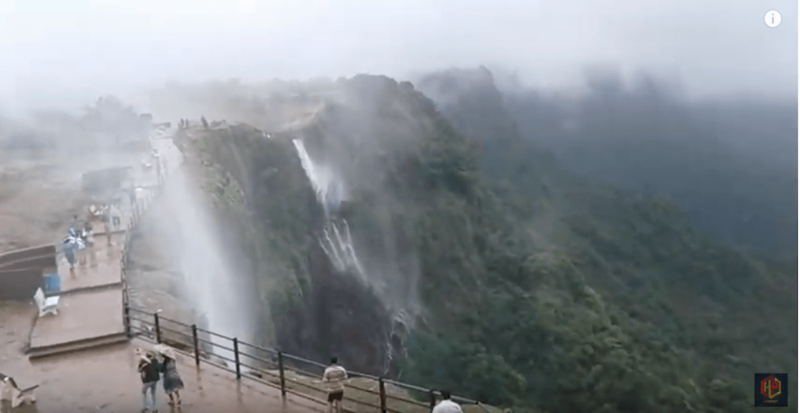 Located in Amboli, India, the largest waterfall at Kavalshet Point can be seen spraying upwards due to the way the wind catches the water rushing down into the valley. The phenomenon is best witnessed during monsoon season, which typically spans from July to September. Even outside of monsoon season, Kavalshet Point is a must-visit due to its scenic lush valleys and green mountains scattered with waterfalls. While you’re planning your trip, check out these tips for ensuring your travels through India are as smooth and rewarding as they should be. Make sure you wear a waterproof jacket — spraying is in the forecast! Want to share your coolest travel experiences right here on Mapped? Email us at [email protected].